How To Void Your Warranty: Series 1 Recap + Series 2 Coming Soon! With season 2 of Orange’s original series “How to Void Your Warranty” almost upon us, let’s take a moment to reflect on the shenanigans of season 1 (“Hey, Farva!”). Season 1 revolves around “Rob” (from our service department) demonstrating unique, and sometimes not-so-obvious, ways to destroy your Orange product, thereby voiding your warranty. I personally loved episode 2 when Rob plugged our O-Edition headphones into the speaker out of a 500 watt Terror Bass. All of the terribly tragic ideas for ruining our precious Orange gear were user-submitted and sourced from our YouTube comments. In season 2 we’ve partnered with a variety of YouTube stars to find even more obscure ways in which your Orange products might meet their demise. 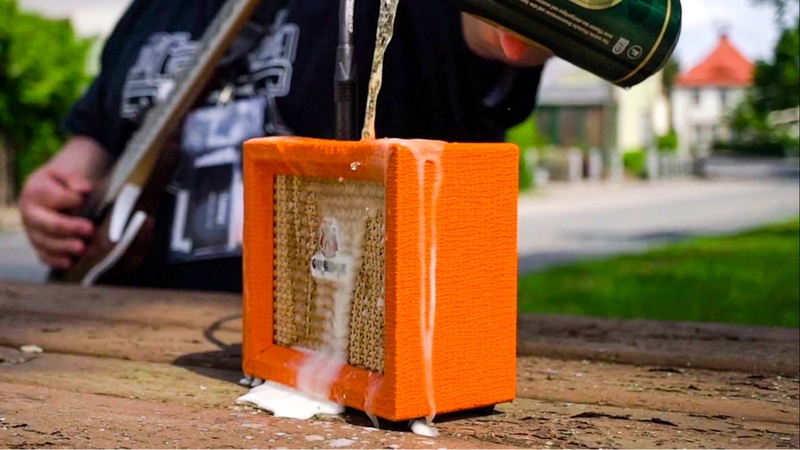 Here’s a hint: don’t take your micro amp to lunch. 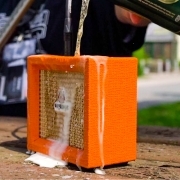 https://orangeamps.com/wp-content/uploads/2018/08/Void-Your-Warranty-Thumbnail-Crush-Beer.jpg 1080 1920 alex https://orangeamps.com/wp-content/uploads/2018/02/Orange-Pics-logo.png alex2018-08-07 14:53:412018-08-17 16:53:37How To Void Your Warranty: Series 1 Recap + Series 2 Coming Soon!